There are newspapers inventoried in this facility that are so old they preceded the term, and are referred to by those in the know as a newsbook or a “coronto”. At least, that is my sketchy understanding. This week I am thinking about things that have survived generations, inventions, wars and cosmic changes. The listing that caught my eye was a title from 1629, banned in 1632 –but then given special license to continue six years later. Wikipedia says, “In 1638 they were granted a patent from King Charles I for the publication of news and history, in return for a £10 annual donation toward the upkeep of St. Paul’s Cathedral…” And, of course, I wanted to see this for myself. The small volume sold in 2015, just days after it was made available, but I was able to find a German newsbook from 1607 that I could look at. It wasn’t in a vault, but neatly cataloged and filed with all the other items in the seventeenth century inventory. There are so many treasures, I suppose a vault would have to be the size of a warehouse — which indeed it is. 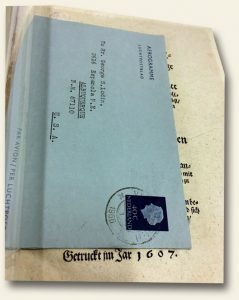 AUSSFUHRLICHER BERICHT was accessible, and I was able to pull the folder, open it on a surface, and even lift the clear archival cover in order to take a photograph without the obstruction of a reflected glare. Not many people have the privilege of holding a publication that is over four hundred years old, and I know myself to be ridiculously undeserving. But this week Paris has superimposed itself on my mental wanderings. As for much of the western world, images of flames engulfing an icon that has stood for eight hundred years are incomprehensible. At a certain point old things seem to become everlasting. Particularly, stone cathedrals are expected to survive history itself. Invasion, famine, revolution and disease have moved around that block work for nearly a millennium. But we have records here at History’s Newsstand of many seemingly immovable things that have eventually yielded, and those accounts are interspersed with all the common themes of humanity that seem unhampered by the passage of time. This is the week that Notre Dame burned. It is also the week before Easter — the darkness and mourning of “Good Friday” so closely followed by the joyful resurrection of Easter Sunday. There is destruction and devastation, but there is also redemption. 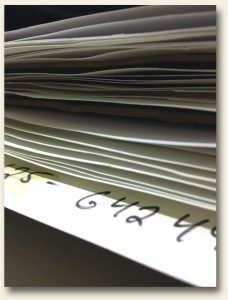 It’s the common cycle of the accounts told within these pages of history that are so neatly sorted, labeled, and shelved for retrieval. Obituaries and birth announcements. Demolitions and groundbreakings. Political structures that rise and fall, and new ones that rise again. 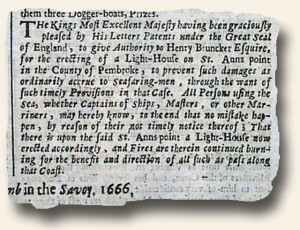 This week’s journey took me to London, England, by the means of The London Gazette dated September 5, 1667. This carried the report from Plymouth the that “The Virginia Fleet sailed from hence, and from Foy, on Friday, last are by contrary Winds put back again into this Port, and expect only a fair Gale to encourage them to pursue their Voyage.” What a great reminder as to the difficulties of early trans-Atlantic travel – that which we now take for granted. “Newsbooks” from Europe, those small pamphlet-looking periodicals which were the predecessors of today’s newspapers, have always been difficult to find. But rarely have we had a more intriguing issue than one recently added to our inventory, and its the back story which makes it interesting. 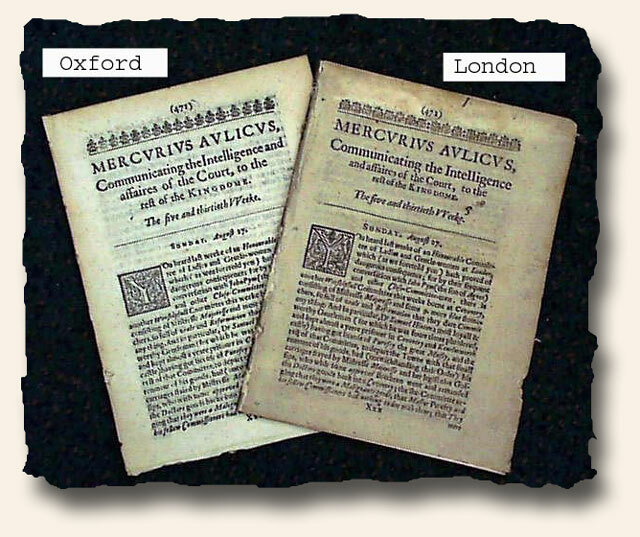 Rather than one, we have secured two issues of the “Mecurius Aulicus“newsbook, both of the same date, “The five and thirtieth Weeke” of 1643, one the “regular” Oxford edition, the other the secretly-printed and exceedingly rare London edition. This newsbook was created because of the English Civil War during the early 1640’s, as a means for the Royalist faction supporting King Charles I to promote their views in Parliament-held London. It was published in Oxford, the stronghold of Charles I at the time. Any person or any publication promoting the cause of Charles I would not have been welcomed in London. It was a short-lived publication which began to lose support from 1644 onward as the Royalist losses on the battlefield continued. This Oxford newsbook found it more & more difficult to obtain current news and issues became badly delayed. It finally ceased publication in 1645. 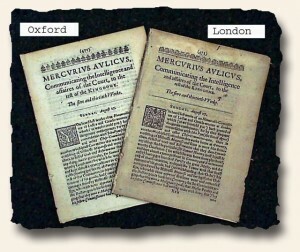 But an intriguing article in Wikipedia adds an interesting tidbit to the history of this publication: “…The Mercurius Aulicus was printed in Oxford, which was at this time the Royalist capital…then smuggled into London where it was sold by local women, often at heavily inflated prices. It was also reprinted on occasion–albeit not necessarily accurately–by local sympathizers in London…”. So as we see, there was also a secretly-printed edition done in London, with print runs which had to be exceedingly low. On the rare occasion we have had the opportunity to offer an issue of the Mercurius Aulicus it has always been the Oxford edition. Never have we seen a London edition. Until now. The photos show the complete text of not only the “regular” Oxford edition but the very rare London edition as well. Comparing the two gives evidence to some subtle differences between them (embellishment at top of front page is different; heading type sizes are different; embellished first letter of ftpg. is different; dated headings on inside pages are different, etc.) Although I am struck but the considerable similarity between the two issues given they were printed on different presses in different cities, put side-by-side several differences are very evident. Not only is this London edition very rare, but we were fortunate enough to secure the Oxford edition of the same date as well. If ever a pair of same-date newsbooks deserve to be kept together, here it is. 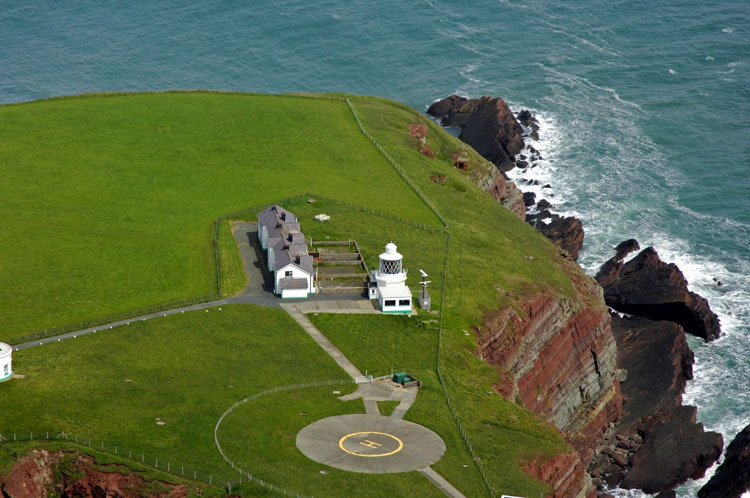 A fascinating pair from an intriguing period in British history—and in newspaper history as well. If you’ve never perused this little gem, you’ll be pleasantly surprised with its detailed coverage of events of the day. A genuine collectible, over 300 years old, for $60 or less. Is there a field of collecting today which has items of such age– in nice condition–for $60? The hobby of collecting rare & historic newspapers likely sits at the top of what must be a very short list. And such prices, along with tremendous availability of titles & content, are part of the intrigue of this fascinating hobby which remains unknown to almost everyone. And this, in large part, is the reason prices are outrageously low in comparison to the relative rarity of other collectibles. While issues do run the gamut price-wise from newsbooks (at the upper end) to coffeehouse newspapers (typically at the lower end), it is a fascinating field for the historical hobbyist on a budget ($20 and under). 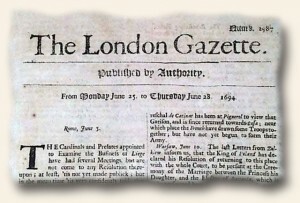 The ‘London Gazette‘ is the world’s oldest continually published newspaper, having begun in 1665 and is still publishing today. With such historical depth you would expect to find virtually every major event in world history within its pages, and you would be right. The Great Plague and Great London Fire, William Penn being granted land in the New World, the death of noted pirate Captain Kidd, the battles of the French & Indian War and Revolutionary War and so much more are found in not only this title but other newspapers of the era. First reports of such notable events can sell in the thousands of dollars, but an interesting facet of this hobby is that follow-up reports of a few days later can fall well within the comfort level of the average collector. 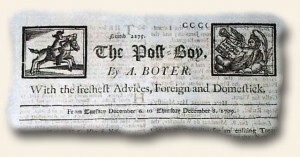 Both age and graphic appeal come together in the London ‘Post-Boy‘ newspaper, with issues from the 1718-1725 period featuring two ornate engravings in the masthead in addition to a very decorative first letter of the text. Add to this the relative small size of this single sheet newspaper and you have a terrific item for display for under $55. 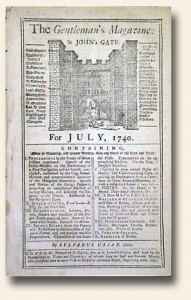 With American newspapers not beginning until the first decade of the 18th century (one title was published in 1690 but lasted just one day), and most American newspapers through the Revolutionary War being very rare, British titles are an excellent source for collecting all the notable events not only in American history, but in world history as well. And the reporting was often extensive, for remember that the colonies were part of Great Britain through 1776. The ‘London Chronicle’ was a popular British newspaper which documented amongst its pages virtually all American events since its founding during the French & Indian War. Yet another periodical, the ‘Gentleman’s Magazine‘, is an excellent source for period reports of American events since its beginning in 1731, and one of its features was the printing of maps of all corners of the globe, many of which show North America and specific colonies. From James Oglethorpe’s settling the colony of Georgia, to Ben Franklin‘s famous kite experiment, installation of the Liberty Bell, the enactment & repeal of the hated Stamp Act, all events of the Revolutionary War, to the mutiny on the Bounty & so much more, the ‘Gentleman’s Magazine’ offers a terrific repository of American and world history at very affordable prices. Plus, there are reports of Colonel George Washington from 1754 when he was just 22 years old and relatively unknown, and for the music buffs there are works by the composers Hayden, Handel, and death reports of Mozart and Beethoven within its pages. The early battles of Napoleon & other European reports are logically found in this title as well. 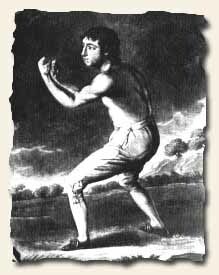 While American newspapers of the Revolutionary War and before are generally pricey, ranging in the $400 – $1000+ range, two notable exceptions exist being the ‘Boston Chronicle’ and the ‘Pennsylvania Chronicle’, both from the 1768-1769 years. Because their circulation was widespread they are among the more commonly held colonial titles by institutions, & consequently come on the market when libraries convert from hard copy to microfilm or digital. They detail the entire spectrum of American life from just before the Revolutionary War while providing an interesting perspective on American politics during those critical years. Complete, genuine issues are typically available for under $200. 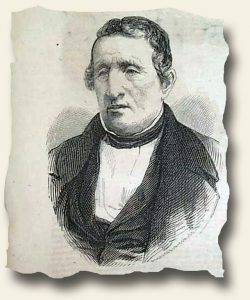 American newspapers from after the American Revolution become more available and at dramatically lower prices while still containing a wealth of notable content on the founding years of the federal government. The ‘Pennsylvania Packet’ of Philadelphia was one of the more successful titles, and was the very first to print the Constitution of the United States. While that issue, September 19, 1787, ranks well into six figures, dates surrounding it are typically found in the $45 – $80 range and offer a perspective of life in the city where and when the Constitution was being created. The ‘Columbian Centinel’ from Boston was perhaps the most successful title in 18th century America and its pages document the complete scope of America politics and life from 1785 thru Washington’s election and inauguration to his death just weeks before the end of the century. 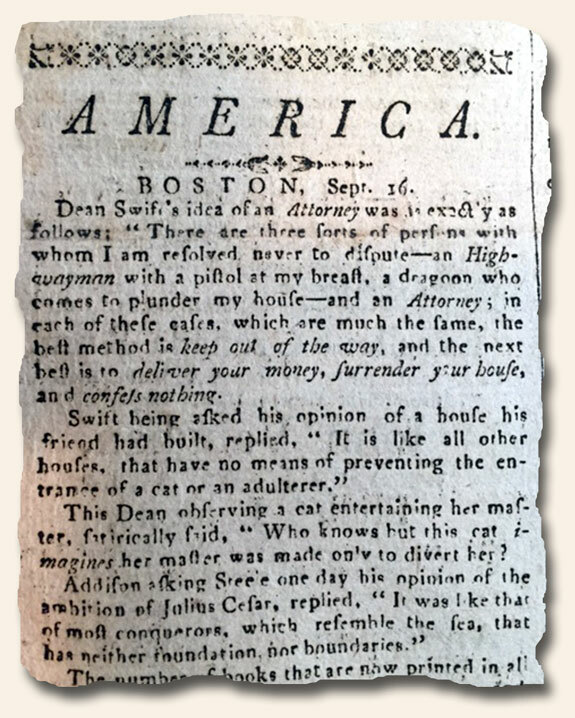 Other 18th century American titles which are within the budgets of even the most modest collectors are the ‘Connecticut Courant’, ‘Dunlap’s American Daily Advertiser’, ‘Gazette of the United States’, the ‘Massachusetts Spy’, and ‘The Herald, A Gazette For The Country’ and others. Nice issues from the formative years of the federal government can be had for under $50 each. 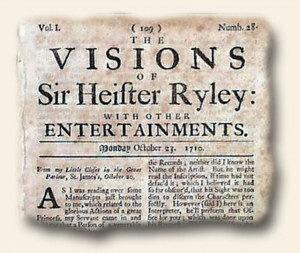 While first reports of the most historic events of the 17th and 18th centuries will always command top dollar among the most savvy of collectors, the hobby of collecting rare newspapers offers a tremendous wealth of issues at surprisingly low prices, while at the same time offering fascinating content on life only known to others through history books. And this hobby is one that offers the entire spectrum of political, economic, and social history to every collector. What other hobby can make that claim? But perhaps most importantly, this hobby let’s you hold—quite literally—history in your hands. Our peek at the lower-end entry points into the hobby of collecting rare and early newspapers draws to a conclusion today with a gander at inexpensive newspapers published prior to 1700. A list of titles priced at under $50 includes: The London Gazette, The Athenian Mercury, Votes of the House of Commons, The Observator, and The Weekly Pacquet of Advice From Rome, all of which are British publications. Note: View the following to explore the History’s Newsstand Blog’s featured posts on the upper end of the collectible: “Prices Realized” and “Most Collectible Issues“.